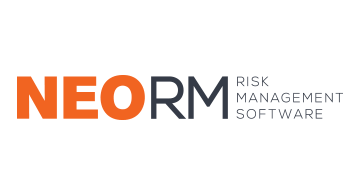 NeoRM is a revolution in governance risk management driving transparency for companies. NeoRM’s mission is to simplify the view of controls for our client’s permanent supervision. Neo-RM’s GRASP tool provides Governance Risk Attestation as a Service Platform. Clients are empowered and confident when protected by the NeoRM GRASP platform. GRASP drives accountability by identifying the correct individuals that are accountable and responsible or should be consulted or informed of policy and protocol. GRASP allows accountable parties to detail control procedures, validate risk and governance methodologies and articulate day-to-day activities controlling inherent business risks all while satisfying compliance requirements. The application has a set of pre-configured modules. We at Neo-RM are excited to launch our new PCI DSS module calibrated differently for all risk levels. GRASP will not only automate your yearly attestations; but also, perform monthly or quarterly checks on your “day to day” controls ensuring continuous compliance. NeoRM allows your organization to leverage their compliance spending to drive value and ultimately affect not only bottom-line costs but drive top-line increases through confidence in risk management.